Q: Double cream is very difficult to get hold of in Tanzania where I live. What could I use as an alternative please? 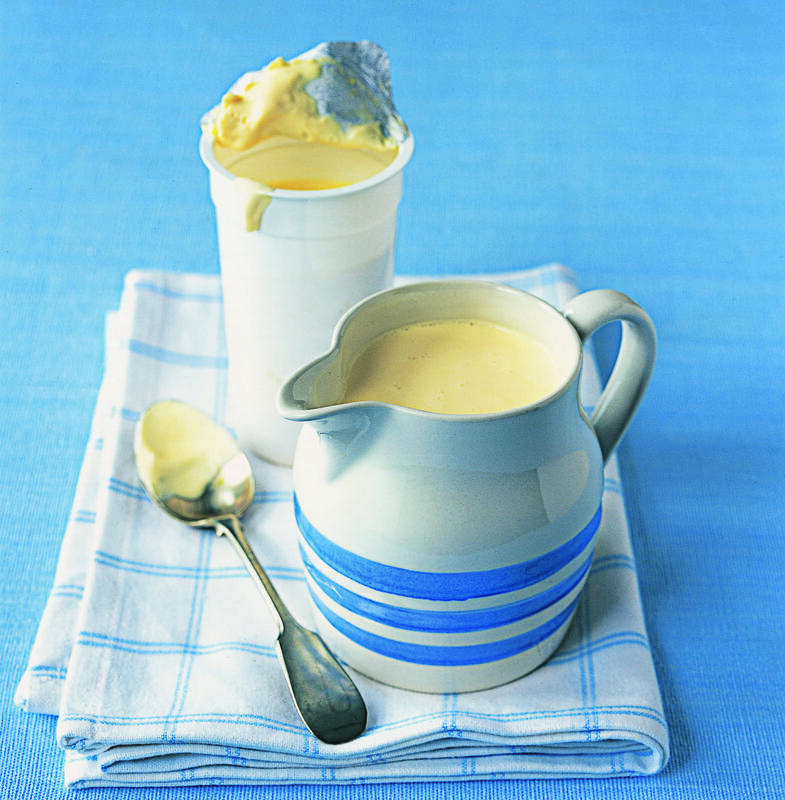 Double cream contains a fat content of at least 42% which makes it ideal for whipping. Depending on what you are using the cream for depends on the substitute used. You need to look for a dairy product that is similar in terms of fat content, something like crème fraîche or heavy cream (this has a butterfat content of at least 36%) could be suitable for whipping for desserts or even custard for pouring. Q: I can't buy buttermilk in Spain and it appears very frequently in your recipes. Would yogurt and skimmed milk be a substitute? Q: I really love Stilton cheese - can you give me some good, everyday recipes using it. If you enter stilton into the search box on the home page you will find all my recipes that include this ingredient, including Stilton Souffle Omelette and Parsnip and Stilton Tart. Happy Cooking! Q: I live in South Africa and cannot buy creme fraiche. Can you supply me with an alternative ingredient please? Crème fraîche can be substituted by mixing equal quantities of lightly whipped double cream with Greek yoghurt (or a thick-style yoghurt) but if it's being heated you have to be careful not to let it boil. Alternatively add a drop or two of lemon juice to some lightly whipped cream, or you could try mixing equal quantities of lightly whipped cream with soured cream, then leave at room temperature for about 8 hours before refrigerating. Please bear in mind that we have not tried any of these substitutions in Delia's recipes but they hopefully should work. Q: I like to cook in batches. How do I know which of your recipes are suitable for freezing? Some foods do deteriorate or, should I say, are not at their best after a period in the freezer. Among the few foods that cannot be successfully frozen are all the egg-based sauces, such as mayonnaise. These tend to separate with thawing. Salad vegetables, including celery and dishes containing melons, avocados, bananas, and hard-boiled eggs – which become very rubbery – do not freeze well either. There are many good publications on deep-freezing which will give you an accurate guide to the different types of food suitable for freezing. Q: How do I avoid the outer part of the yolk going black on boiled eggs? My husband says his mother's were always golden yellow. Cooling the eggs rapidly stops the cooking process and prevents the eggs being overcooked, which causes the black ring around the yolk. So let the tap run over them for about one minute, then leave in cold water for about two minutes. Once peeled, return to cold water until completely cold. 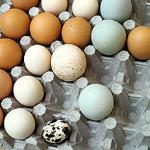 Q: My mother has always told me not to keep eggs on the shelf provided in the fridge. Is she right?